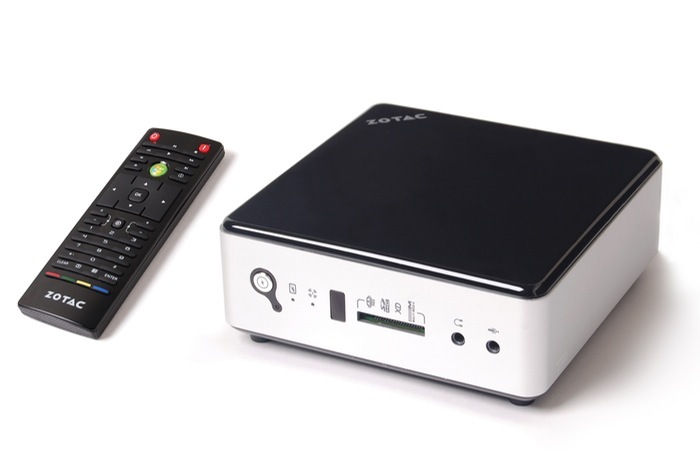 During the CES 2014 Consumer Electronics Show in Las Vegas this week Zotac has unveiled two new systems it will be launching in the US during the second quarter of this year to expand its ZBOX Nano range. The two new Zotac ZBOX Nano systems are will be equipped with ARM processors and will also be shipped pre-installed with either Ubuntu or Android as a choice of operating system for users to enjoy. Stepping away from x86 processors and barebones systems of other Zotac systems. Both Zotac ZBOX Nano systems will be powered by a 1 GHz Freescale i.MX6 ARM Cortex-A9 quad-core processor supported by 1GB of RAM together with 8 GB of flash storage. Other features of the new ZBOX Nano systems include 4 x USB 2.0 ports, 802.11b/g/n WiFi, Gigabit Ethernet connectivity, together with a 2.5 inch drive bay, SD card reader and HDMI output. The systems will be supplied running Google’s Android 4.0, but Zotac has stated that they are currently planning on rolling out an Android 4.2 update in the near future. The Ubuntu version will ship with Ubuntu 12.04. For more information on the new Zotac ZBOX Nano systems jump over to the Zotac website for details.